Boil rice. Drain and set aside. Place lentils and 4 cups water into a deep pot. Cover and cook for approximately 12-15 minutes until soft. 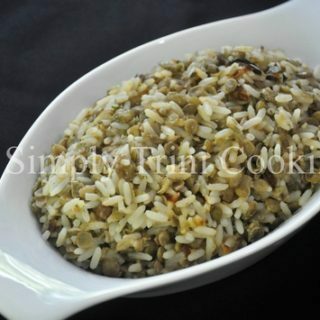 Place cooked rice in a bowl, add lentils and 2 tsp salt (pepper optional), stir mixture evenly. Note: The onions will give a sweet fragrance when they’re ready. Add lentils and rice mixture to the onions and stir gently to mix.